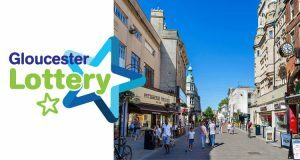 Gloucester Lottery is a weekly online lottery created to support local causes in Gloucester. We have a 50 ticket goal and currently have 19, so please help us get to our target and who knows, you could WIN!!! Play the lottery, support the HCA, its that simple! 0 is a match, x is not. The lottery and its prizes are our way of putting the fun in fundraising. The real winners are the good causes. From every £1 ticket sold 60p will go to good causes in Gloucester! To put this in perspective when you play the National Lottery 28% goes to good causes – we’ve more than DOUBLED the ticket percentage that goes to good causes. Why not enter today by clicking the link below! Many thanks to you all for your continued support!